SENTigray is the sister organization of SENEthiopia and was officially established in September 2013. SENTigray embodies all of the same ideals and goals as SENEthiopia and the two will work hand in hand to help children with SEN.
After nine years of working in Tigray, the trustees of SENEthiopia decided it was time to strengthen the ideals of sustainability and to work to create a locally based branch of the organization. This will allow us to reach even more students and children in the area. 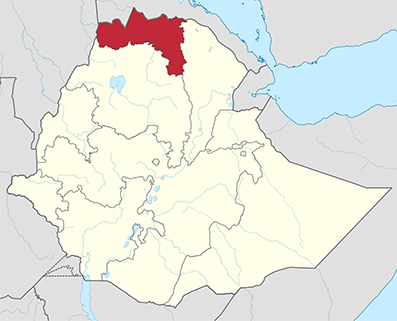 SENTigray is located in the Tigray region of Ethiopia, is managed by trusted local contacts, and will continue to work with special educational needs children. Both SENEthiopia along with other donors will contribute to the funding of SENTigray’s projects. It will strive to be a self-sustaining branch of the organization that works amongst the local community and with the local government. SENTigray is managed by Masho Kidanemariam, a local Ethiopian, who will manage projects and funding locally while SENEthiopia trustees and volunteers will continue their frequent visits to assist and support. Masho, who has a Law degree from Mekelle University and is a “graduate” of the Blind School himself, is ably supported by a group of local trustees from a variety of other organisations. All of the funds raised by SENEthiopia will go directly towards its combined efforts with SENTigray.